Motor starter transformers, are used to limit inrush current at the time of motor starting . Main output voltage tap is 70% rated in comparation with nominal voltage. Thus half of rated torque can not be applied on the motor axis. As a result of these circumstances, motor starting current is drop down to nominal current . Protection devices will not trigger. After motor starts and reaches nominal operation , output voltage point is transferred to input voltage point and motor, switched into the nominal operation mode. Thus transformer is being deactivated for the purpose of cooling down until the next starting moment. Transformers can be designed in a smaller size than normal thanks to the principle of this duty cycle operation mode. 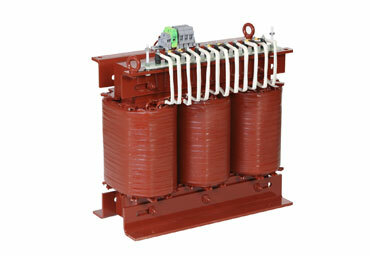 Elektra Motor starter transformers designed for 10 starts per hour with a maximum at 3 consecutive starts.